My travel post, Best of the US: Rattlesnake Lake, North Bend, Washington has been picked up by Schnizzle. The other day my husband mentioned to me that Pinterest had missed an opportunity when they started up 4 years ago. That they weren’t a website men would ever want to visit. I argued with him on this, since I am an avid user of Pinterest, both personally and professionally. I see lots of posts about Men’s fashion, gardening and food, which are all commons interests that men share. After stumbling upon this article that talked about just what my husband mentioned (Pinterest’s image problem for men,) I found that it was true! Why isn’t Pinterest popular with men? Sony’s ‘The Interview’ drew international controversy and attention. 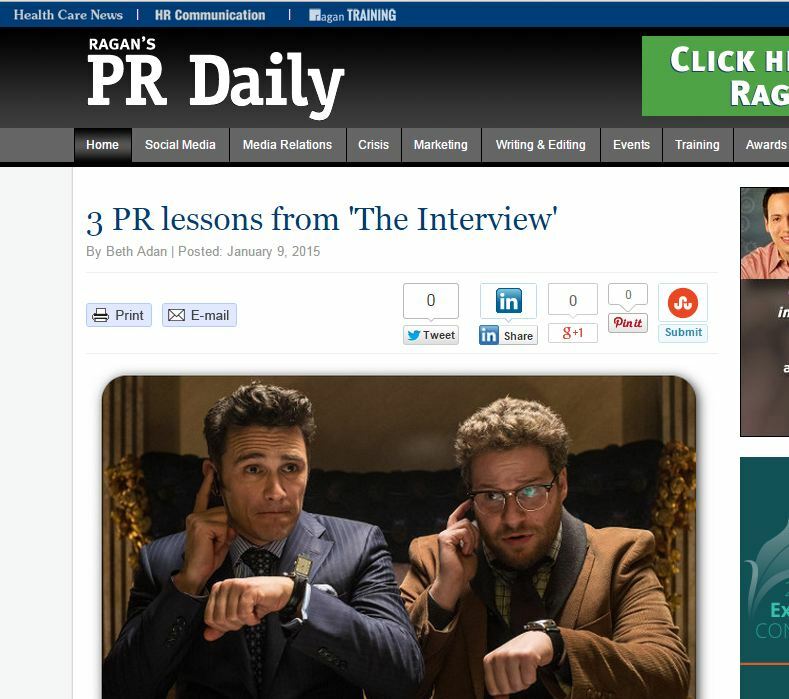 Here are 3 things we can apply to the world of PR from the movie’s release. “A film about the most secretive nation in the world? Canceled interviews and online pirating? “The Interview” was one of the most followed movie releases of all time. 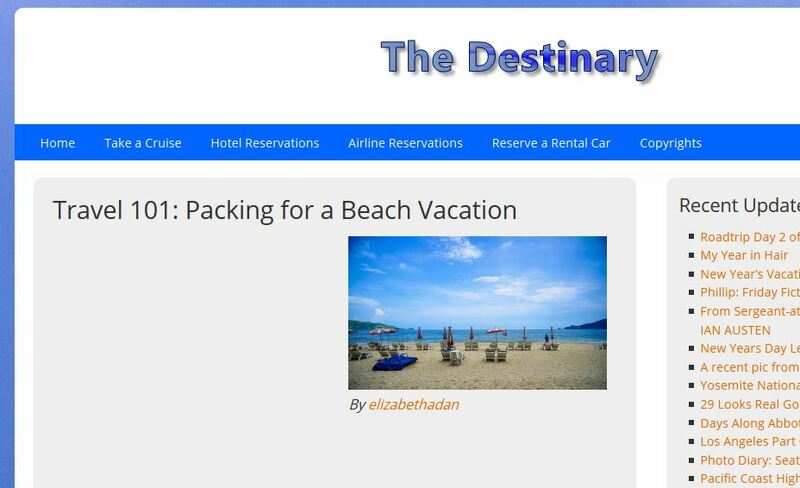 Aquaberry Bliss’s post: Travel 101: Packing for a Beach Vacation has been picked up by travel blog, The Destinary! 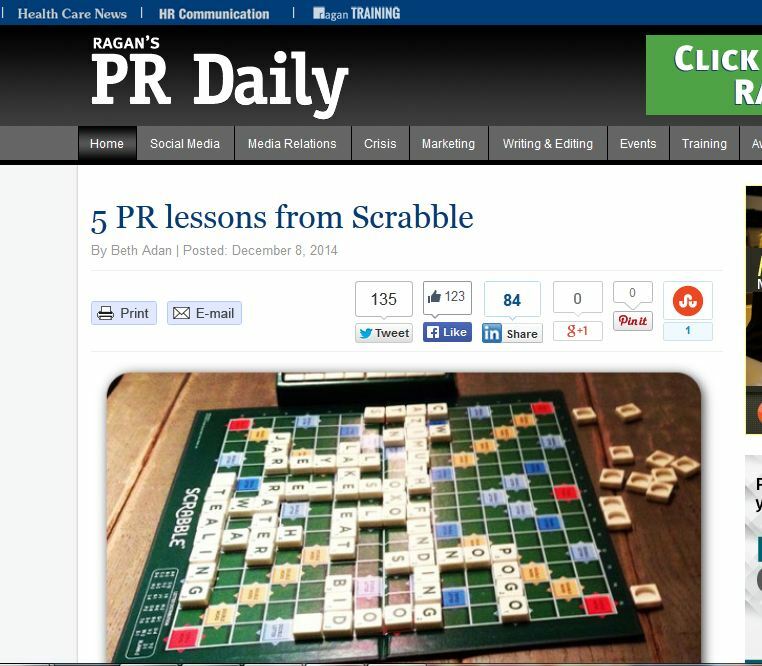 5 PR Lessons from Scrabble on Ragan’s PR Daily! Another one of my blog posts has been picked up by Ragan’s PR Daily! Scrabble is not only a fun way to unwind and ease your brain into writing, but there are also many lessons we can apply to the world of public relations.